Louis has taken to leaving loving notes on the bathroom mirror when he&apos;s got the morning shift. He writes things that he knows will make Harry smile. So they meet like they have planned for a little while now. Louis is wearing a light blue shirt, sat on the park bench. He feels like he&apos;s so giddy his heart might break out of his chest. It&apos;s chilly, Louis pulling his hands into his hoody sleeves. His feet scuff along the floor as he swings his legs, teeth tugging at his bottom lip. A couple benches down he can see Harry who is pretending not to notice him yet. Harry has his hands tucked into his pockets, gazing out over the small pond as ducks flutter around on the surface. He taps his foot impatiently and his palms sweat as he feels himself getting more nervous. Internally he rolls his eyes at himself. He and Louis are engaged. There&apos;s nothing to be nervous about. Yet at the same time this is the boy he&apos;s spending the rest of his life with. He wants to make him happy. To stop himself bottling out he makes his legs move towards the bench his soon to be husband is on. Louis looks up at him, a coy smile on his lips as he sits beside him on the bench. Their legs brush together, eyes sparkling as they try to contain their excited grins. "Can we pretend we don&apos;t know each other and I&apos;m being brave by coming to talking to the beautiful stranger?" Harry asks with a small smirk. 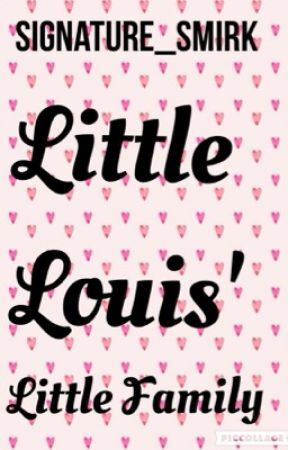 Louis giggles, unable to contain his excitement for a moment as he nods. "What&apos;s got you out here all alone?" Harry adds, relaxing a bit more now that they&apos;re getting into it. "I&apos;m on a walk," Louis answers with a small shrug. This seems to be easier for Harry than it is for him. Louis pauses, unsure of what to say. Harry notices his hesitation and rests a gentle, soothing hand on the back of his neck. He sighs and closes his eyes for a moment. "Neither," Louis smiles. &apos;Though I do have a fiancé,&apos; he thinks. "Want one?" 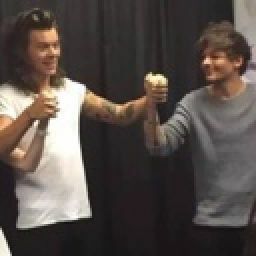 Harry grins, glad Louis has eased into it a little more. "Are you asking me out?" Louis says like he still can&apos;t quite believe it has happened. Harry licks his lips as they shake hands, a lingering touch that raises goosebumps on Louis&apos; soft skin. Louis&apos; breath hitches as Harry&apos;s hand brushes his thigh and despite what they&apos;ve done together, it feels so intimate as if it is the first time they&apos;ve been so close and gentle.